.I can't believe that we only have two more weeks of school! How could that be! It seems like i just went on home visits to meet my new Bumble Bee friends! It has been a wonderful, fun year with your children. I will cherish my memories of our year together. It is however, sad to know that our year together is about to end. I will let them go with pride in all that they have accomplished this year! Thank you for sharing your children with me! .We spent several weeks working with letters and the alphabet and read lots of good books about letters.......but the MWF class is so interested in all the creatures of the ocean, that i decided to go into a unit about the ocean! We will continue the unit next week. Our garden is growing and it is fun checking it everyday with my friends. We find so many of natures creatures outside at Fairville........worms, ladybugs, bats, snakes eating frogs, ground hogs, spiders, deer, stink bugs..............so exciting! .Thank you to all the grandparents for coming to share a morning with their grandchildren at Fairville! What a special time for the children! And thank you to those who contributed to our playground fund for a new train and a new house! .ART SHOW is coming!!!!!!!! I can't wait for you to see your child's artwork! .Thank You for all your support and kind words this year!
. I apologize to you.....I posted the wrong dates for Grandparents Day. It is on May 9th and 10th! I hope you all are enjoying our nice weather!
. I hope you all had a wonderful spring break with your children! As we head back to school I look forward to many sunny days as we go exploring on the beautiful grounds of Fairville to find all the beginning signs of spring! What a wonderful way to start spring by watching our eggs hatch and turn into little baby chicks! We also started spring by making Easter eggs and having egg hunts. We will begin talking about gardening and planting seeds and learning how to take care of our garden. We will hunt for all the bugs we find in the garden. We will also make butterflies, flowers,ladybugs and of course bumble bees! We are reading books about spring and gardening!
. During our transportation unit last month we made a train out of boxes.........and you will get to see it at the art show! We had such fun painting and decorating the trains. Art show is on May 30th, so mark your calendars! Art show is 4:30-6:30. All your family and friends are invited.
. FUN FAIR April 20th 11:00-3:00 raindate is on the 21st, same time.
. May 2 and 3rd is Grandparents Day!
. 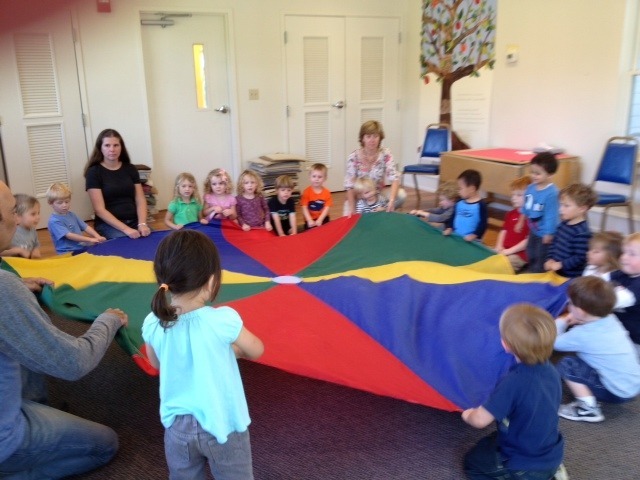 It sounds like we will have a fun, busy spring at Fairville!
. So far we have had a fun and busy February! Getting together with our Butterfly friends to learn about winter, and the animals that hibernate or just sleep through the winter, was so much fun! We even made bird feeders together to hang on the trees before a snowy weekend to feed the birds. 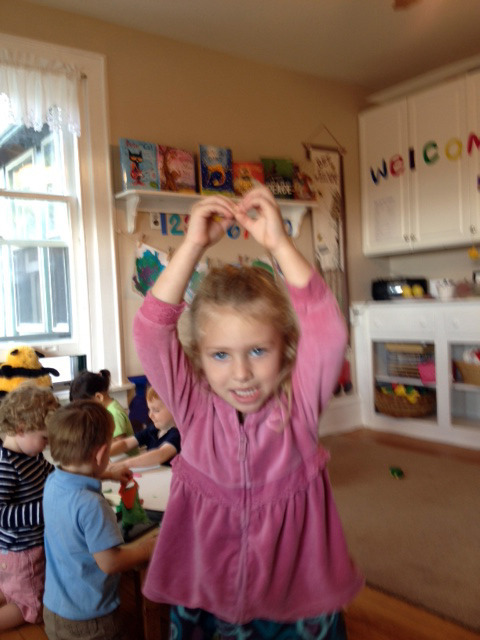 We did "freeze" apple juice for snack and had fun playing "freeze" dancing!!!!
. After our winter unit, we began to read books about love, caring and sharing for Valentine's Day. We stamped hearts and made collages. Always practicing our creativity, cutting with scissors and boy do we like to pour out glue!!!!
. We are now doing a unit on transportation. We have read many books about trains, busses, tractors, tug boats and trucks. 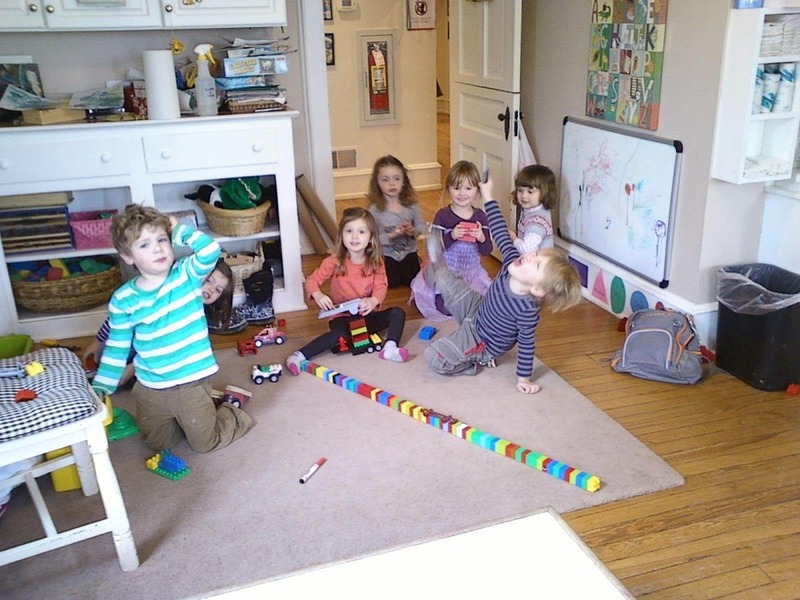 After reading Things That Go, we made shape vehicles and shared them at Meeting for sharing last Friday. They are also hanging up in the Bumble Bee Room! They are very good and the children are so proud of them. We are building vehicles out of legos, and will be trying to build a bridge next week.
. Conferences are coming up early in March. Sign-up sheets will be on the door Monday. Conferences are March 7th and 8th. There is no school for the children on those days. I look forward to talking to you all!
. I am also looking forward to spring! It has been so cold and rainy! We can't wait to be able to go outside for longer play time soon. It has been brutally cold, so we stay out for 10 minutes or so and run back in! Please continue to send boots.....it will be muddy for quite awhile! Pajama day this year will be on Wed. Feb.13 and Thurs. Feb. 14. Children and staff will be dressed in their pajamas on these days! All children are invited to wear their pajamas.......but they do not have to if they don't want to, but it sure is fun! Also, I wanted to remind you that we don't have school on Feb.15th and Feb. 18th.
. Wow, what a cold January we are having! 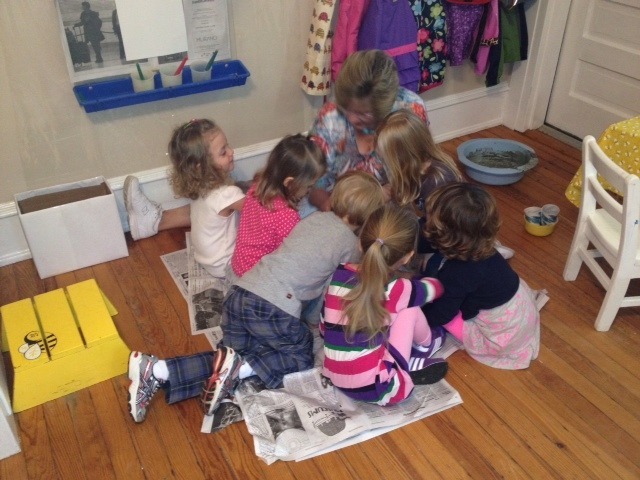 The frigid cold temperatures have brought out our creativity in the Bumble Bee room! We have had several days when we did not go outside which gave us extra time to practice cutting with scissors, playing games to help us recognize shapes all around our room, making pictures out of shapes, making snowmen and painting with watercolors! We experimented with Model Magic again and couldn't wait until they dried so we could paint our creations.
. We continue to talk about the many ways we can keep ourselves healthy. I appreciate all of your effort in making sure your child washes their hands upon arrival! During snack each day we talk about the vitamins in the fruit we eat! The children like to tell me now before i get a chance to ask them first! "Oranges have lots of vitamin C!!!" We remind each other to cough in our arms, and sneeze away from our friends. I hope your families have stayed healthy........we have had quite a bit of sickness at Fairville. Thank you for keeping your sick children home to rest. As a reminder, we follow the Kennett Consolidated School District for school delays or cancellations. .For the next few weeks we will begin a Winter unit with Betsy and our Butterfly friends! We will read many books together about snowmen, winter, hibernating animals and studying liquids turning to solids by making popsicles and ice paints! It will be a fun unit, that i think the children will really enjoy!
. How could it be December already! 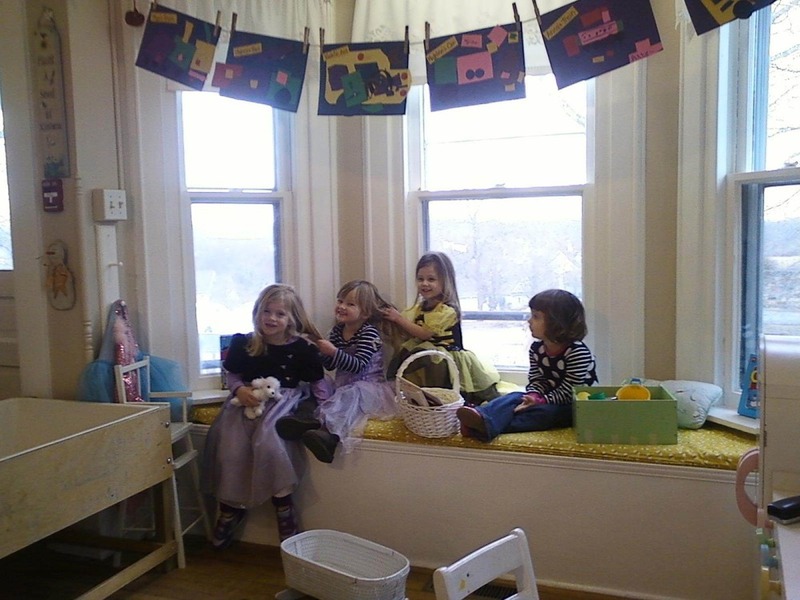 It is a wonderful time as the children are all settled into the routines of the Bumble Bee Room! 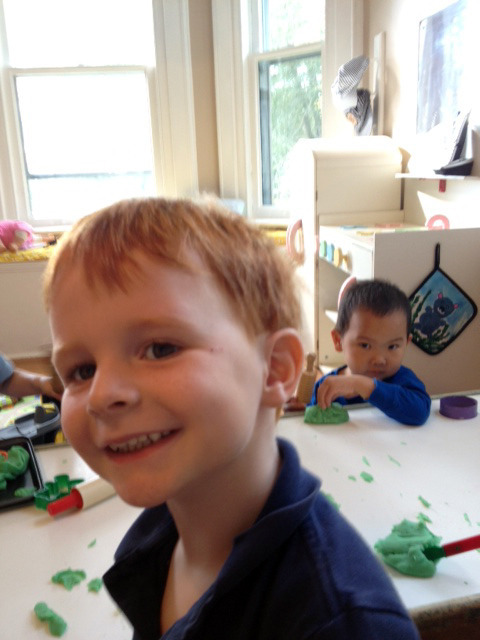 They engage in their favorite activities independently now and are so excited to see their friends arrive each day. We are becoming good listeners, following directions, participating in classroom and Meeting discussions, and using our good manners. 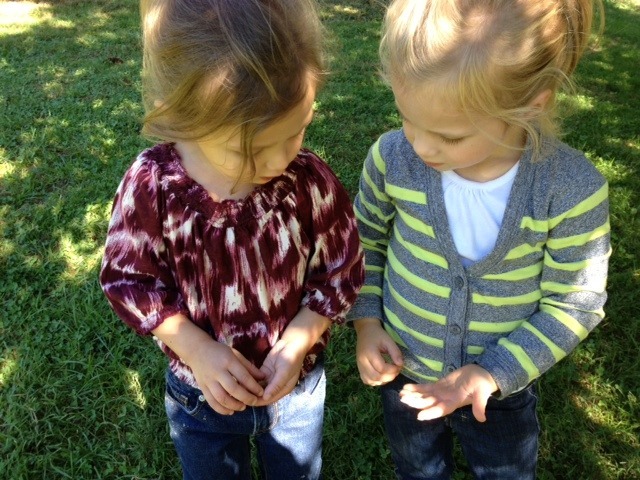 We wash our own hands, put on our own coats, share with our friends, take turns,and use the potty with little assistance! We are reading books containing numbers and practice counting to ten often. One of our favorites is Ten Terrible Dinosaurs! We have been reading holiday books everyday. The Gift of Giving, Dream Snow, Quiet Christmas, Snowmen at Night, Peace Book.
. Thank you to those who bought our school books at the book fair! 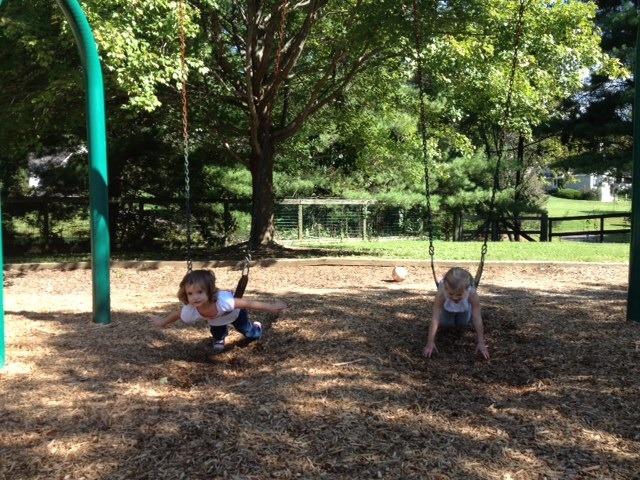 Fairville children will enjoy them for many years to come!
. We worked very hard on your gifts and had fun stenciling the wrapping paper we wrapped your gift in! The children were so proud of their gifts!
. Thank you to Gabe's mother and grandmother for coming in and talking to us about Hanukkah! They also lent us books on Hanukkah which we all enjoyed!
. I hope you all have a wonderful holiday break with your children, and may the new year bring you and your family much peace, joy, health and happiness! I am heading to Colorado for Christmas!
. We have been reading books about Thanksgiving and talking about all the things we are most thankful for!
. How proud your children have felt when they enter the Meeting room with their donations of food or their penny donations for hurricane Sandy. Thank you all for your donations. We are teaching your children how good it feels to give to others.
. I look forward to seeing you all next week at conferences!
. I hope you all have a happy Thanksgiving and please know how blessed and thankful I am to be able to spend time with and teach your children! What a beautiful fall we are having! 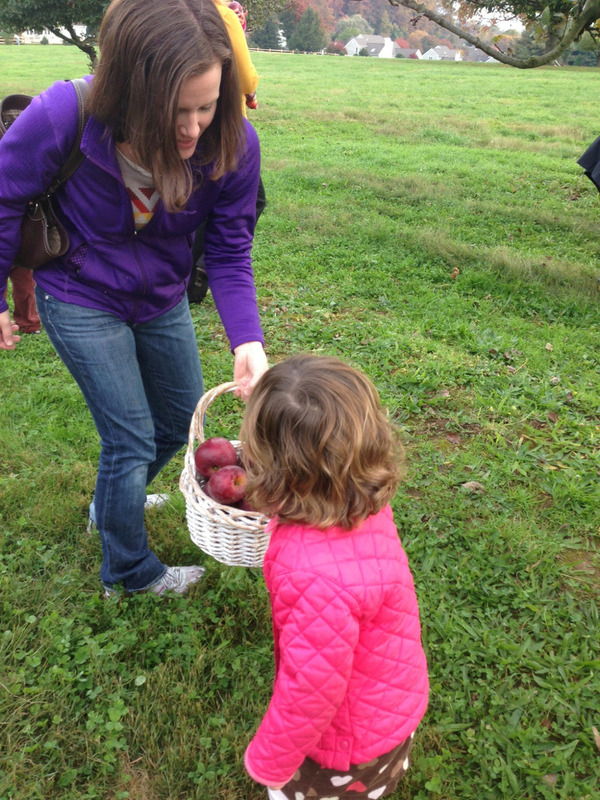 We love walking around the grounds at Fairville observing all the changing colors! We have begun a unit on farms with Vicki and our Ladybug friends. 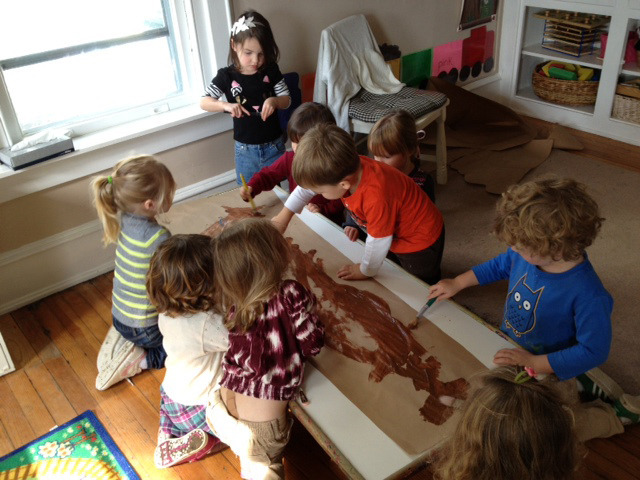 We began by reading Big Red Barn and painting our own big red barn! We got to sit on a real horse saddle, thanks to Laurie for bringing one in for us. 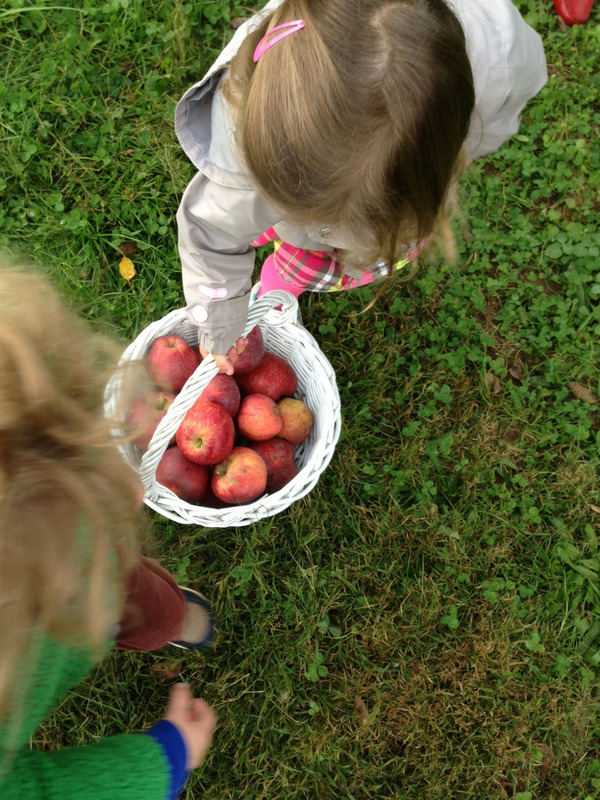 We will be picking apples next week at the orchards, then make applesauce, make apple prints and apple trees! Longwood Fire Co. visited us today. How exciting it was to climb up into the firetruck! Our first few weeks of fun! It was so nice seeing you all at back to school night! I hope you will enjoy these pictures of your children during their first few weeks at Fairville as a Bumble Bee! 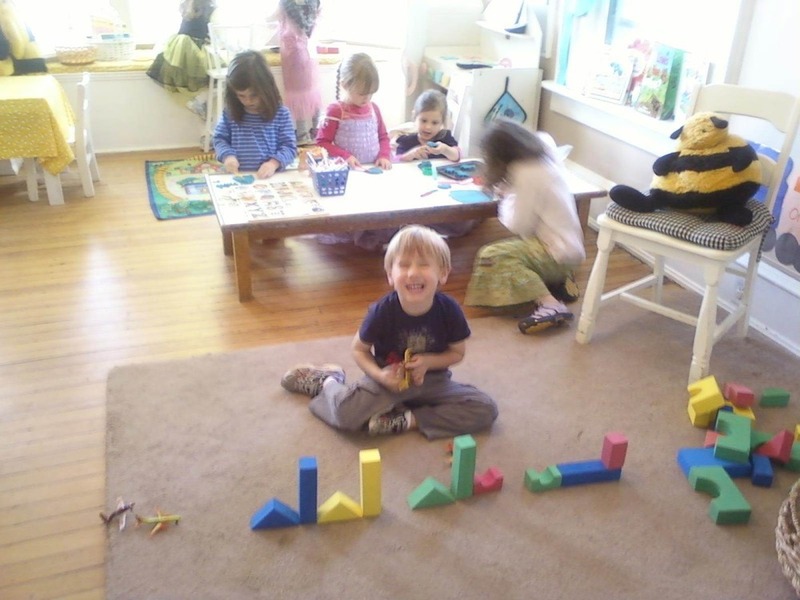 We have had a busy few weeks adjusting to the routines of pre-school. 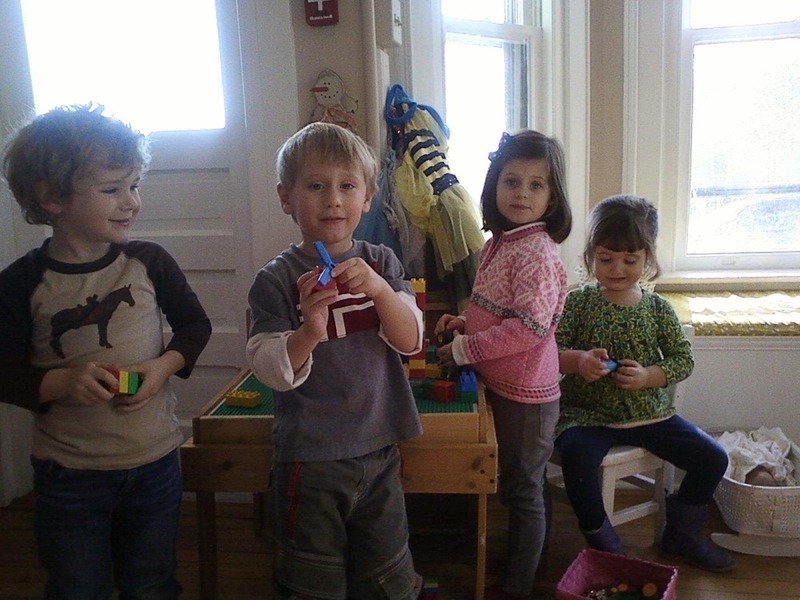 We are making new friends and having lots of fun playing with our friends! We celebrated International Day of Peace by making a stepping stone for our new Peace Garden. We had Meeting outside in the Peace Garden on Sept. 20 and Sept. 21st. It was such a beautiful morning. We have started having music with Bill.....which we all love! We all got to participate in a Soccer Shots exhibition. We are talking and reading about all the changes that autumn brings, learning about shapes; circles, and reading lots of our favorite books! We love playing and singing with our puppets, painting, drawing, doing puzzles, playing dress-ups and playing with play-doh! 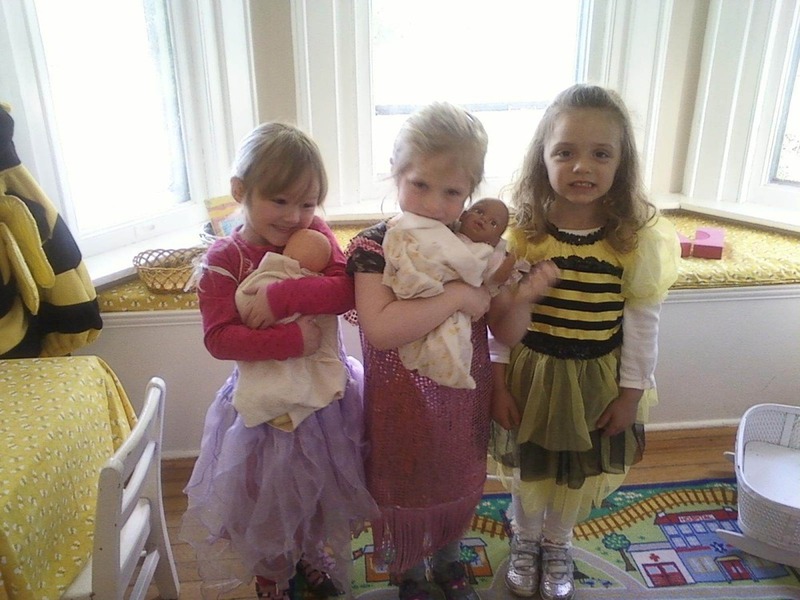 The kitchen area and the baby dolls are also a big hit this year! I look forward to a great year with your wonderful children!